Virgin Atlantic flies from the UK (mostly from London, with a few flights from Manchester) to a decent range of popular destinations in North America and the Caribbean, including New York, Los Angeles, Las Vegas, Cancun, and Barbados amongst others. Away from the Atlantic, they also currently fly to Dubai, Lagos, Johannesburg, Delhi, Hong Kong, and Shanghai. ‘Flying Club’ is Virgin Atlantic’s loyalty programme. 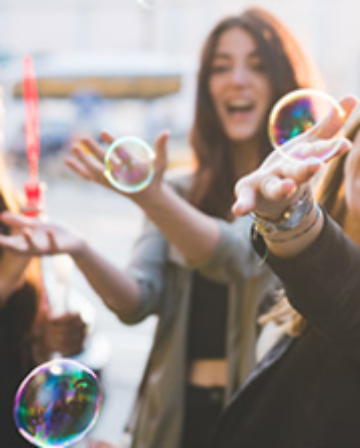 Like most frequent-flyer programmes, it provides a range of benefits for regular customers, as well as the ability to earn Flying Club ‘Miles’, which can redeemed for flights on Virgin Atlantic or an array of alternative redemption options through its partners. If you do not have an account yet, you can either sign up here, or send an email to us for a referral link which will earn you 1,000 – 3,000 bonus Flying Club Miles after your first flight (we also receive some Miles for this, so requests for referrals are much appreciated!). When you fly with Virgin Atlantic (or some of their partners), you will earn ‘Tier Points’, as well as the redeemable Flying Club (FC) Miles. Once you collect enough Tier Points, you will first attain silver status, and then gold status. These elite status levels offer a range of benefits like Priority Check-in, bonus FC Miles, and lounge access. Silver status requires 15 Tier Points, and gold status requires 40 Tier Points. With Flying Club, the number of Tier Points you will earn from a flight depends on the class of travel (Economy, Premium Economy, or ‘Upper Class’), and also the ‘fare code’ (fare codes are how airlines differentiate between different types of tickets – eg. fully flexible vs no changes allowed). Tier Points can also be earned flying on some of Virgin Atlantic’s partner airlines. You can see their full list of partners here, and check how many Tier Points you would earn on each of them here. Flying Club states that Tier Points are calculated over a rolling 12-13 month period. What this means (in English), is that they use the beginning of any particular month to start counting from, rather than simply counting back 365 days. So, if you checked how many Tier Points you had on 20th August 2015, Flying Club would count all your Tier Points from 1st August 2014. In fact, regardless of whether the date was 1st August 2015, or 31st August 2015, Flying Club would still count your Tier Points from 1st August 2014. Flying Club’s entry-level status doesn’t really get you anything apart from the ability to earn FC Miles. There are a couple of minor discounts on parking and Virgin Holidays, but nothing exciting. Then again, for Red status all you need to do is sign up! Full details here. Members with silver status get a 50% bonus on the number of FC Miles earned when flying on Virgin Atlantic or Delta, and the ability to use the Premium Economy Check-In area, even when flying in Economy. Priority Wait Listing puts silver members top of the list for fully booked flights, if one of the existing passengers doesn’t turn up. There is also a 2,000 Flying Club Mile bonus each year for maintaining status. You can read more about the details here. 100% bonus Flying Club Miles earned when flying Virgin or Delta. Fast Track through security and immigration at Heathrow and Gatwick. Priority Boarding, Baggage Handling and Extra Luggage Allowance (on Delta and Singapore Airlines too). 2,000 Flying Club Miles birthday present. Guaranteed Economy seat on any Virgin Atlantic flight, if booked 72 hours in advance (usually very expensive though). Ability to add children to a ‘family account’ in order to pool miles. No date change fees when amending a booking made with FC Miles. In addition, gold status holders who earn 60 Tier Points in a qualifying year are given two lounge passes to give to anyone they wish, and members who earn 80 Tier Points receive a one cabin upgrade for two people (so if a couple book a flight in Economy, they will be upgraded to Premium Economy, and if they booked Premium Economy they would be upgraded to ‘Upper Class’). Flying Club also offers a companion ticket when a member with gold status re-qualifies. In theory this can be used to bring a friend or family member along on a trip for ‘free’. In reality, it is only valid if the person with gold status books a ticket with particular fare codes – which are usually more expensive than the cheapest available fare. When you add on the taxes for the companion ticket, the saving can be negligible or even non-existent, compared to just buying two of the cheapest available tickets. Gold status for life can be earned either by holding gold status for ten consecutive years (and earning at least 300 of your Tier Points from Virgin Atlantic flights rather than by flying on partner airlines), or by flying one million miles on Virgin Atlantic flights. You can take a closer look at the gold status benefits here, and Flying Club has produced a handy chart comparing the benefits of the different status tiers here. Flying Club has a relatively simple way of calculating how many miles passengers earn from flying on Virgin Atlantic, with one Flying Club Mile being awarded for each actual mile flown. These are so-called ‘base miles’, and Flying Club provides additional miles on top of these depending on the class of travel and fare code booked, as well as a bonus for members with silver status (50% bonus) or gold status (100% bonus). So, for example – if you are a Red member and book a return flight on Virgin Atlantic from London to New York in Economy, you will earn 6,916 Flying Club Miles. This is because Flying Club calculates the flying distance between London and New York as 3,458 miles, and obviously with a return flight you would be flying that distance twice. If you booked the same ticket, but had gold status you would earn 13,832 in total, because of the 100% bonus. The number of FC Miles you earn by flying on Virgin’s partner airlines varies, but you can check them all out on the Flying Club website here. Note that silver and gold status holders only receive their status bonus miles when flying on Virgin Atlantic or Delta. Perhaps the best ways to get large amounts of FC Miles though is through Tesco Club Card, and from credit card sign-up bonuses. Using Flying Club Miles to book Virgin Atlantic flights is pretty straightforward. All you need to do is sign into your account and search for a flight like normal, but select the “spend your miles” option at the bottom, rather than the “money” option. When you search, you will be shown a monthly calendar and the availability for all three classes. There is a bug in the system which means it sometimes shows ‘phantom availability’ (ie. the availability appears to be there, but doesn’t actually exist!) at this stage, so make sure you click through to check you can definitely use your miles for the date/class that you want. When you click through to a specific date and choose your flight and class of travel, you will be shown the number of Miles required and the taxes/ surcharges. The taxes and surcharges Flying Club charge on Miles bookings are substantial – sometimes more than £500 for a Return flight in Upper Class. Flying Club’s cancellation policy for flights booked using Miles, is to refund all of the Miles (and taxes etc) in return for a £30 per person fee, so long as you cancel more than 24 hours before your flight. 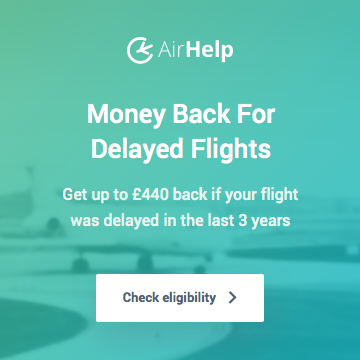 If you cancel 24 hours or less before departure, no Miles will be refunded and a £30 per person fee is charged to process the refund of any taxes/surcharges etc. The chart above is a good starting point if you are trying to find out roughly how much your flights will cost, but it isn’t perfect. The number of Miles is always consistent (just halve the numbers if booking a one-way flight), but the taxes can vary a bit depending on other factors. In particular, it might sometimes work out cheaper to book your flights as two one-ways rather than as a return, so do always check! Also note that all the taxes here are calculated on flights where the outbound is from the UK, but might be different if starting somewhere else. The real standout here though, is that if you can get to Hong Kong some other way (perhaps using miles from a different frequent flyer programme, or using low cost carriers like Norwegian to get to Asia and then using Air Asia/Tigerair etc to travel around, before ending your trip in Hong Kong), the taxes due on a one-way ticket from Hong Kong to London total just 278 Hong Kong Dollars – about £23.20, regardless of which class you choose. 60,000 Flying Club Miles and £23.20 in taxes for Virgin Atlantic Upper Class on a 12-13 hour flight is a great deal! 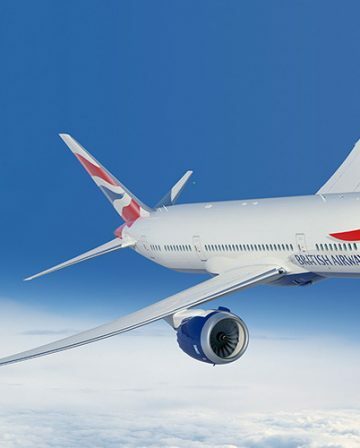 In the UK we have to pay substantial Air Passenger Duty when using miles for premium cabins, and both Virgin and British Airways charge hefty fuel surcharges when using Miles/Avios on many routes. This means we have to be inventive in order to get the best value from redeeming miles, but it can be done! FC Miles can be redeemed on a variety of Virgin Atlantic’s partner airlines too (like Delta, Singapore Airlines, Virgin America etc).They each have their own separate Award Chart, which you can view here. Miles can be transferred to IHG ‘Rewards Club’ points at a rate of 1 to 1. Details on how to request a transfer can be found here. Miles can also be used to book a wide range of hotels through booking site “Kaligo”. Hotels are grouped into three categories, costing 20,000 FC Miles, 30,000 FC Miles, or 40,000 FC Miles. You can find out a bit more on the Virgin website here. Miles can be transferred to Hilton HHonors at a rate of 2 to 3. Flying Club also gives members the option to redeem Miles with a variety of other Virgin Group partners too, as well as with Eurostar, or charity partner “Free the Children”. Flying Club Miles do not expire, so long as there is at least one mileage transaction every 36 months. The clock is reset by any activity (either earning or redeeming) no matter how small. Transferring a few Tesco points, using your Virgin Atlantic credit card, crediting a hotel stay or car hire to Flying Club, buying the minimum amount of miles, giving miles to charity etc etc, all count. As long as you keep an eye on things there is really no excuse for letting FC Miles go to waste! Using FC Miles to upgrade your ticket sounds great, and it can be, but there a few things you need to make sure of first. Not all tickets can be upgraded – you need to book a ticket with an upgradeable fare code. In Economy these fare codes are Y, B, R, L, U or M (V, E, Q, X, N and O fare codes cannot be upgraded using miles). For Premium Economy, you need to book W or S fare codes (not K or H). These fare codes are almost always more expensive than the cheapest ticket, but sometimes the difference isn’t too bad. There also needs to be award space for you to upgrade into. This comes from exactly the same space as if you were booking a normal award ticket using miles, so you can search for availability in the usual way. A one cabin upgrade (ie. from Economy to Premium Economy, or Premium Economy to Upper Class) requires between 10,000-15,000 FC Miles depending on the route, each way (so 20,000-30,000 FC Miles if you want to upgrade both your outbound and return flights). A two cabin upgrade, from Economy to Upper Class requires double the amount of Miles. As well as having to book a more expensive fare code in order for your ticket to be upgradeable, you also have to pay the additional taxes and surcharges due for travelling in a premium cabin – generally £100-250 more for return flights. Upgrading using miles is relatively complex, and whether it is good value or not really depends on the specifics. Flying Club offers two different cash and points style offers- “Miles Plus Money”, and “CombiFares”. 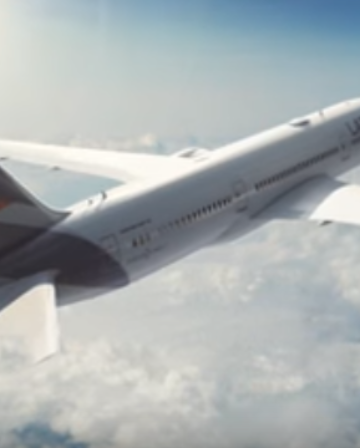 Miles Plus Money allows Flying Club members to use 3,000 FC Miles for a £30.00 discount on Economy fares, 7,500 Miles for an £80.00 discount on Premium Economy fares, and 15,000 Miles for a £200 discount on Upper Class fares. On the face of it it’s not a terrible deal, valuing FC Miles at at least 1p each, but it’s certainly not spectacular value for your miles either. The fact that the maximum discount you can get on an Economy ticket is £30.00, prevents it from being more than mildly interesting. The real problem with Miles Plus Money though, is that the tickets do not earn any FC Miles or Tier Points. Even if you don’t fly with Virgin enough to be concerned about Tier Points, you do need to factor in the FC Miles you would be giving up (on top of the ones you are spending) when working out whether it makes sense. For example, a Flying Club member with no elite status would ordinarily earn 6,916 FC Miles from a return Economy flight between London and New York. If they used Mile Plus Money, they would forgo those Miles and spend 3,000 Miles – so the £30 discount is actually costing 9,916 FC Miles (3,000 + 6,916 ) in total. £30 for 3,000 FC Miles would be reasonable value, but £30 for 9,916 FC Miles is absolutely terrible – valuing them at just over 0.3p per Mile. My advice to most people would be to completely avoid Miles Plus Money, but if you are interested, you can find out more on the Virgin Atlantic website. There are two main problems that can crop up when trying to redeem miles for flights: 1) you do not have enough miles for a return. 2) there is only award availability one way on the dates you want to travel. These issues are both exacerbated by a third issue – that one-way long haul flights tend to be disproportionately expensive, so using your miles to travel one way and buying a ticket back doesn’t usually make much sense. Combi-Fares is Flying Club’s solution. The way it works is that the fare uses your Miles for one leg of the trip (either outbound or return) and cash for the other leg. The cash element is precisely half of what the normal Return fare would be for those dates, rather than the (usually rip-off) amount a one-way ticket would cost. 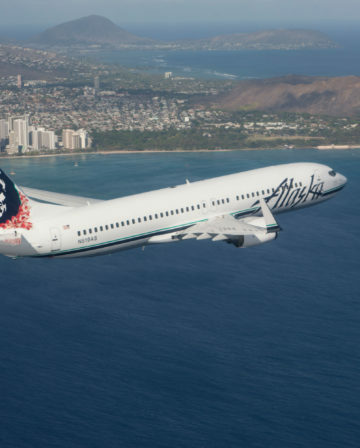 The cash leg can only book into Economy or Premium Economy (any fare code though, including the cheapest), but you can redeem Miles for Economy, Premium Economy or Upper Class on the other leg. You will also earn Miles and Tier Points on the cash leg of your trip. Given that the taxes and fees when using Miles to fly from the UK are pretty hefty anyway, it seems that the best way to take advantage of this (assuming availability of course) would be to pay cash on the outbound flight and then Miles on the return – particularly if you would like to travel in Upper Class on the Miles leg, as this would avoid premium Air Passenger Duty too. CombiFares is a really innovative idea, and it makes FC Miles much more flexible (and therefore more valuable) than they would otherwise be. In order to book a CombiFare, you need to give Flying Club a call – UK number: 0344 412 2414. There are various credit card options for earning Virgin miles. You can also transfer Amex Membership Rewards Points to Virgin Flying Club at a rate of 1 to 1. It is possible to buy, gift or transfer Flying Club Miles. You can only buy FC Miles (either for yourself or as a gift), in 1,000 Mile increments, and each 1,000 costs £15.00 (+ a £15.00 transaction fee, regardless of how many you buy). Each member can buy up to 100,000 Miles themselves each year, and be gifted up to 100,000 additional Miles on top as well. Depending on how many you buy, this values Virgin Miles at 1.5p-3p, which is simply too high for me – although there are situations when this could potentially make sense. Transferring Miles costs £7.50 per 1,000 (+ a transaction fee of £15.00, regardless of how many Miles you transfer). 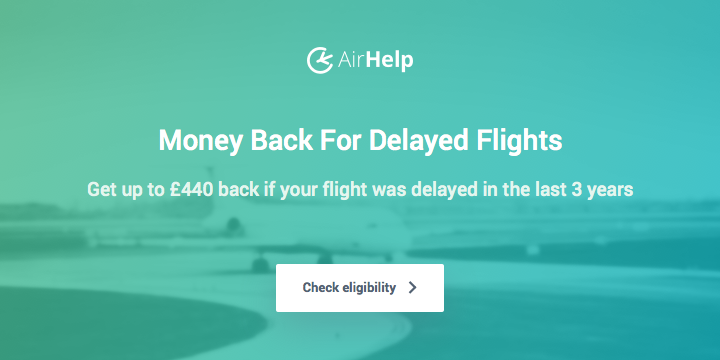 This is pretty horrendous to be honest, particularly when you consider that airlines like British Airways and Etihad allow families to pool their miles together in a household account for free. Miles Booster is a slightly odd, but potentially useful initiative. In essence, it allows members who have a flight booked with Virgin Atlantic (or members who have flown with Virgin Atlantic in the last six months), to buy FC Miles for 1p per Mile. The number of Miles you can buy is based on the number of base FC Miles you will earn (or have already earned) from a flight. It is possible to buy either the same amount as the number of base miles, or double. For example, the base miles you would earn from a return trip between London and Miami is 8,860. Miles Booster gives you the option to buy an additional 8,860 FC Miles for £88.60, or 17.720 (double) for £177.20. Buying FC Miles for 1p per Mile isn’t actually a bad price, if you need to top up or have a specific use in mind. Miles Booster can be accessed either through your Flying Club Account online, or by calling Customer Service. Find out more here. Not in a major alliance (Oneworld, Star Alliance or Sky Team), which compounds the first issue. Partnership with Delta mitigates this slightly, but not enough.